The Aspire Cleito is a sub-ohm tank with a great top fill feature. This atomizer has a new design that allows the atomizer head to deliver intense vapor production and maximized airflow. 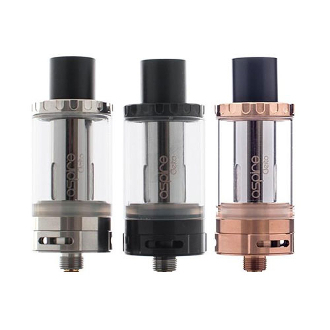 The Cleito is made of stainless steel construction with a glass tube and a wide bore drip tip. The drip tip is made with food grade delrin material. However, you can also use any of your 510 threaded drip tips. The Cleito has an adjustable airflow valve so you can regulate your vapor production.